Posted By:Unknown | At:10:48 PM Be the first to comment! How you can help: Terrilynn Monette is described as an African-American female, approximately 5'8" tall, weighing 180 pounds and having a light complexion with long brown hair. 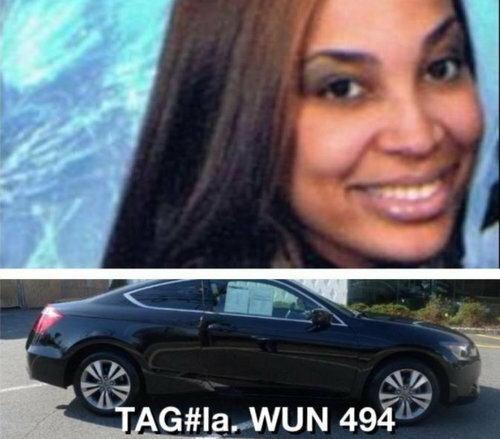 She was last seen driving a 2012 black two-door Honda Accord with Louisiana license plate WUN494. If you have any information, please contact the New Orleans Police Department at (504) 821-2222 or Texas EquuSearch at (281) 309-9500. (CNN) -- Terrilynn Monette had no problem uprooting her life to help children. "I always wanted to be a teacher, and what better place to teach than New Orleans, where passionate teachers are needed most?" she said in a 2011 video. That was almost two weeks ago. With each passing day, her family's anxiety compounds. "There's total emptiness in my life right now. I miss my daughter so, so much, no one can hardly believe the impact that she has had on our family," said Monette's mother, Toni Enclade. "She's a beautiful person. She walks in the room, she lights up with her beautiful smile. I can't imagine anyone that would take her away from us." Hundreds of volunteers and police have scoured New Orleans, but are no closer to finding Monette. She left no clues behind.